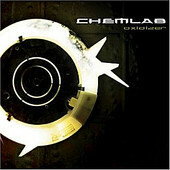 Jared Louche's Chemlab is back. Following their 1996 offering East Side Militia, the band imploded. But, Louche never gave up, keeping it on the backburner through several other projects he was working on. Now, with the time ripe for its resurrection, Louche and friends went into the studio to record the long overdue follow-up, Oxidizer, an electronica-based heavy-hitter of pulsating industrial wrapped around tight melodies. The outcome is a danceable, head-pounding record of enormous strength. From razor sharp guitars through bone breaking rhythms, alongside the undeniable grooves that line the album, Louche and crew have proved that time hasn't dulled the edges. To the contrary, if anything, it made the band stronger, and the music even more essential in today's pretty face, empty value market. I'll give it an A-.